If you are in the market for a used car, never fear: buying a used car is easier and more affordable than ever. Several online sites make researching a vehicle’s history a breeze, and many top car manufacturers have produced cars in the last decade that have aged as well as fine wine. The picks below all received top safety and reliability marks and will give you a great bang for your buck. This car is the newest of my top picks, so it’s a bit pricier than the other options—but because it is so new, it will probably last the longest. It has great safety features, including a rearview camera that comes standard with the 2014 models. The interior is surprisingly luxurious and comes with a slick dashboard touchscreen. The sedan seats five, and the engine runs smoothly while delivering 31 MPG on the highway. If you have a large family, a lot of stuff, or drive through inclement weather often, you might want to consider buying an SUV. Thankfully, there are several great used buys, best among them the 2009 Saturn Outlook, which features plenty of cargo space and room for 8 passengers. While it certainly won’t be winning any awards for fuel economy (it gets 24 MPG on the highway), it’s a safe, roomy and reliable vehicle. If you are looking for a used car that gets great gas mileage without breaking the bank up front, look no further than the 2010 Ford Fusion Hybrid. It gets 41 MPG on the highway and 31 MPG in the city​ and comfortably fits 5. It’s incredibly safe and reliable, and the only real downside is that the trunk does not have room for much more than a week’s worth of groceries. 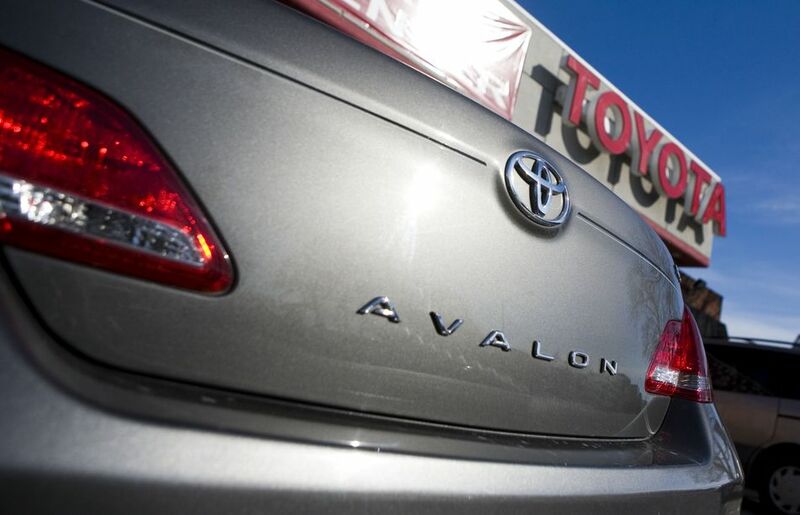 This car maybe 12 years old and have an average of 126,000 miles under its wheels, but if you’re looking for a great bargain, it’s hard to go wrong with the Toyota Avalon. It’s not as fancy or state-of-the-art as its 2014 cousin, but if you’re short on cash, it’s a great buy. In addition to scoring top reliability and safety marks from U.S. News and World Report, this stately sedan drives smoothly and has a luxe interior. It seats 5 and gets an average of 31 MPG on the highway (22 in the city). Check the vehicle history. The used car salesperson might say that the vehicle has never been in an accident and only had one previous owner, but you won’t know for certain unless you get your hands on a copy of the vehicle history report. CARFAX offers one of the most comprehensive services, for a small fee. Make sure the VIN makes sense. The Vehicle Identification number tells you specific things about the vehicle, but to most people, it just looks like a random string of numbers. Before you buy, enter the VIN into a VIN decoder and make sure the information matches what you’re seeing in front of you. Otherwise, you might be falling for a VIN scam. Get an independent inspection from a qualified mechanic. This is one of the most important things you can do, especially if you’re not a “car person.” This simple step could potentially save you from buying a terrible vehicle. Take a test drive. Make sure the brakes and engine work smoothly on a variety of road conditions. Make sure that nothing smells funky—you’re going to be spending a lot of time inside of this vehicle! Making fast moves. You do not want to be rushed through a major purchase, especially one that you’re going to be using pretty much every day for several years and investing a lot of money into. Take your time when making this important decision. If someone tries to pressure you into hurrying it up, run away: they’re not worth your time or money. Buying without checking the VIN and vehicle history. Even if you think a vehicle is absolutely perfect, wait until you have full information before making a monetary commitment.